Rolling doors for industry must be reliable, solid and safe. Our offer includes many special solutions allowing to match the door to its surrounding, specific applications and conditions where the door will be used. The main advantage of the rolling doors is their construction. The shell of the door is rolled onto the shaft placed above the door opening, because of such solution the space under the ceiling remains free. It is important when the height of the room is crucial. 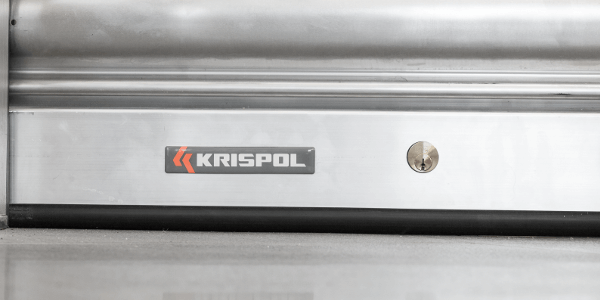 Krispol offer includes steel and aluminium door. Warm doors, which are necessary in places where the same temperature must be maintained, are made of profiles filled in with polyurethane foam along the whole perimeter. Uninsulated doors are made of one-wall steel or aluminium profiles. It is an economical offer, ideal for the interior of industrial facilities and facilities which do not require thermal insulation. 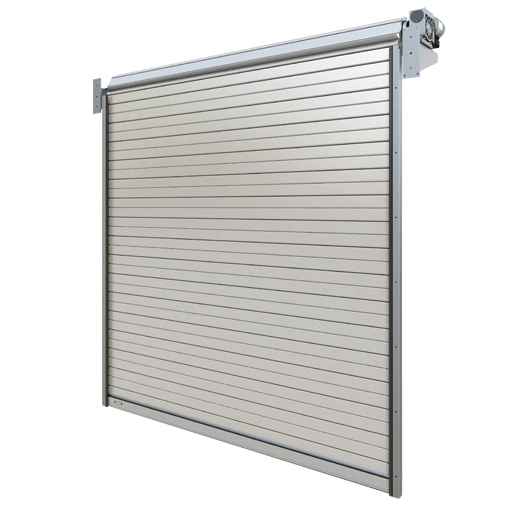 Industrial doors have numerous applications. They are produced exactly according to indicated parameters with the applications matching the devices to different purposes and facility conditions. The applications include profile with glazing and ventilation profiles, perforated profiles in cold doors. An interesting proposal is so called ‘door with a tattoo’, which is individually designed perforation of the shell, showing for example the currently run business activities. 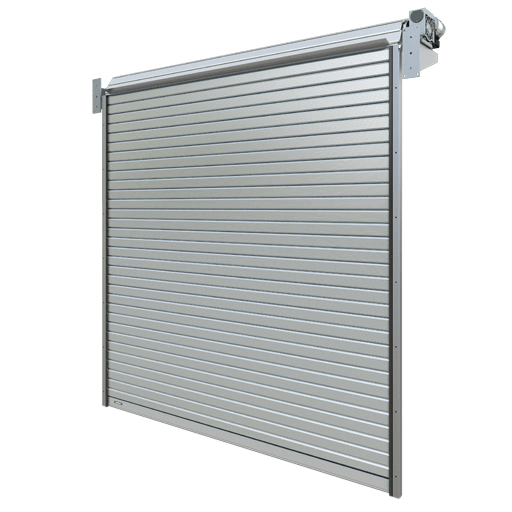 The shell of an R1 SDP heat insulated rolling door is made of 9.5 cm high steel profiles. They are filled with heat insulator in the form of polyurethane foam. Heat insulation properties are also increased by a system of top seals (lintel seal), side seals (brush seals) and bottom seals (sealing of the bottom strip). 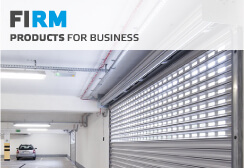 BR1 SSG doors is an economic solution which performs perfectly in the interior or in the facilities that do not require any heat insulation. 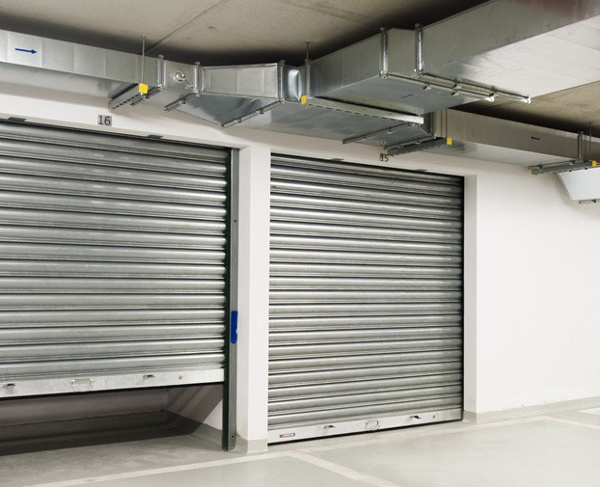 Door shells are made of hot galvanized single-wall steel profiles. 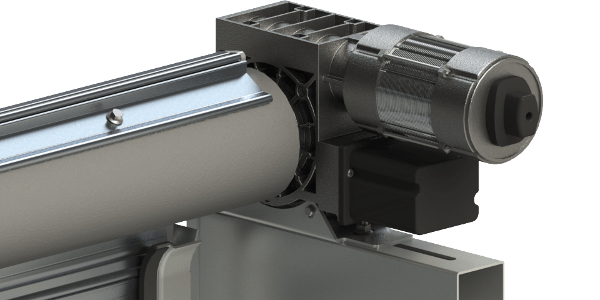 They come with a spring system (R1 SSG) or with an electric side drive (R1 SSP). 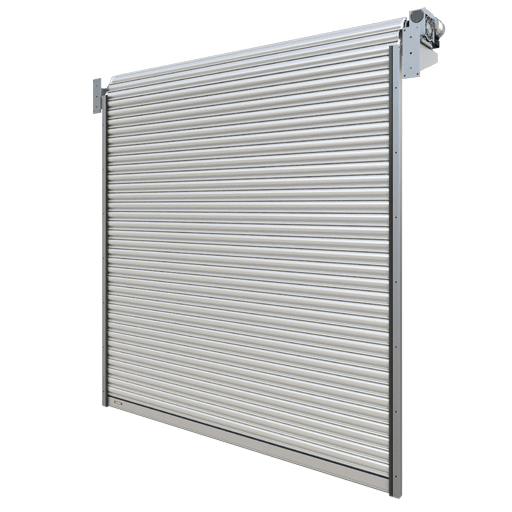 The shell of an R1 ADP heat insulated rolling door is made of 10 cm high aluminium profiles. 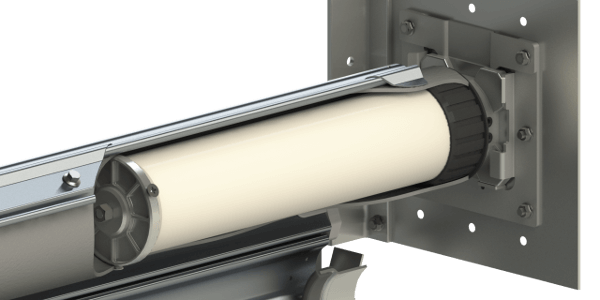 Heat insulation is ensured by filling the profiles with CFC-free polyurethane foam, as well as a system of top seals, side seals and bottom seals. R1 ADP model is equipped with electric side drive, guaranteeing comfortable use. Doors without heat insulation are an economic offer ideal for industrial interiors and facilities that do not require heat insulation. 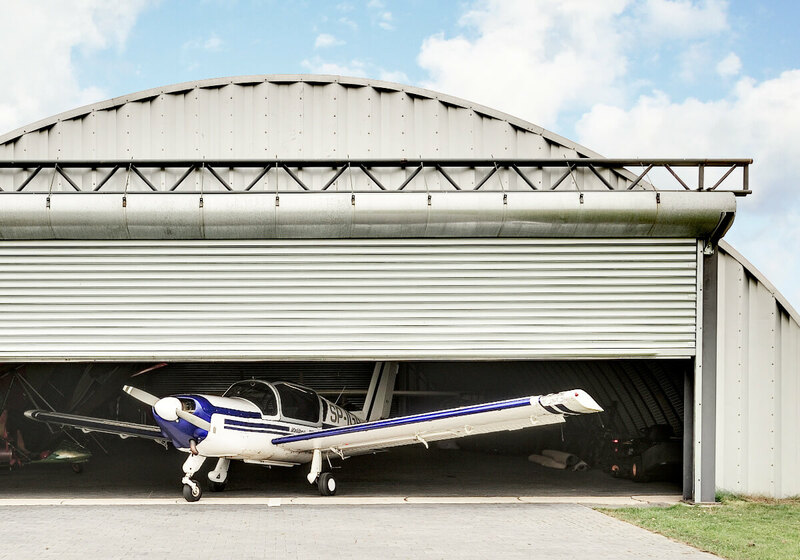 The shells of R1 AS doors are made of 9.1 cm high single-wall aluminium profiles. They are equipped with a spring system drive (R1 ASG) or with electric side drive (R1 ASP). 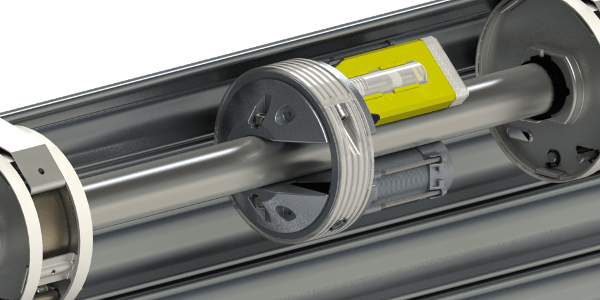 Rolling gates are equipped with protection against falling of a shell if a spring bursts or the protection is integrated in the drive in the form of emergency brake. 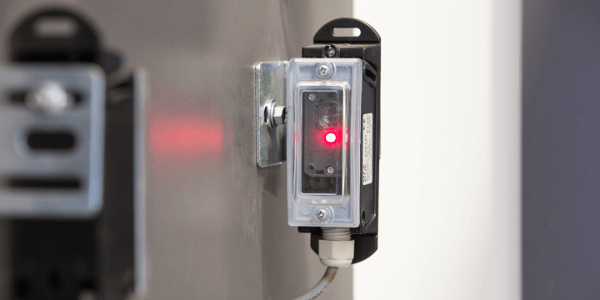 All solutions can be extended by additional protection – signal lamps, useful in large industrial facilities or photocells, the door will be automatically lifted if there is an obstacle in the clearance. Sensing edges work similarly as they stop and lift the door after encountering an obstacle. 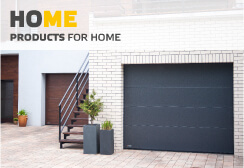 The doors are optionally manufactured in two safety classes against the burglary: WK2 and WK3 (EN 1627:2011). A latch lock installed in the bottom panel serves as protection against burglary, as it is impossible to open the bolted doors from outside. 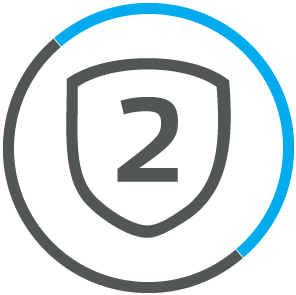 The access inside the facilities, which require special security, is additionally protected with the access card or coded keypad. 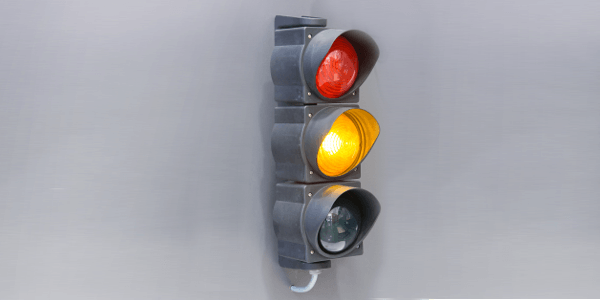 The release of a signal to steer the device can be enciphered by as many as 9-digit code. 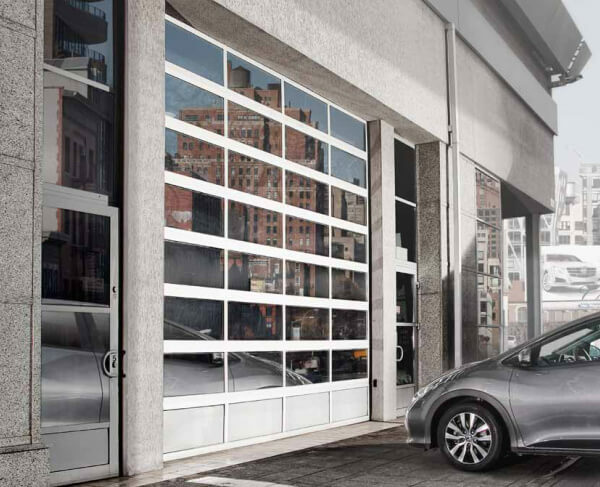 Automatic doors is not only about comfort. 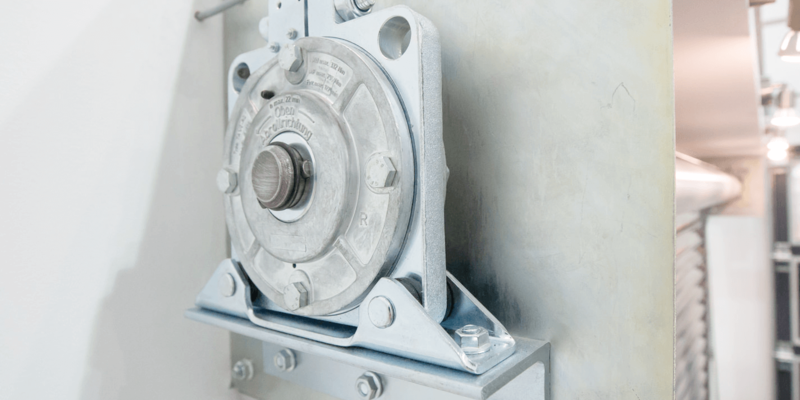 Functional, modern drives also guarantee safety use and protect the mechanisms of the door. 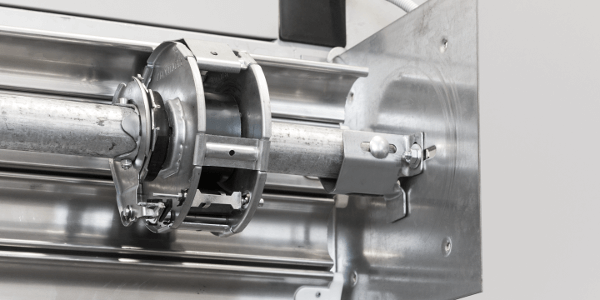 Depending on the intended use, parameters, weight and facility conditions, rolling doors can be driven with one of the three types of electrical drives. Side, three-phase, fixed drive is used because of its parameters and sizes for intensively used products of large surfaces. 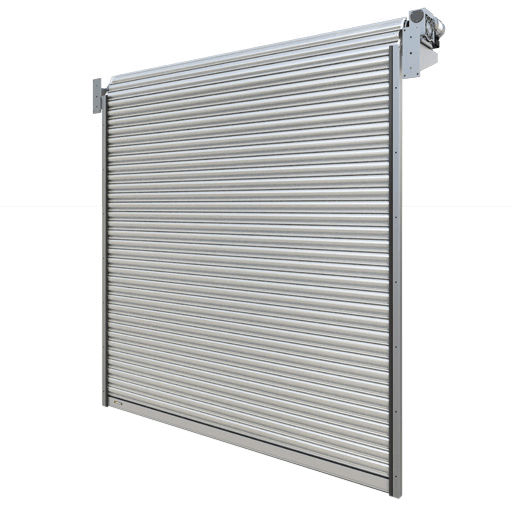 Side one phase pipe drive is a new solution in KRISPOL offer. Due to its construction, it does not require large development surface. Central one-phase drive is used in smaller products where the intensity of works reaches approximately 5-10 cycles per 24 hours.